I’ve been doing a lot of leveling of my Paladin lately; she’s made it to level 40 and gotten her fast ground mount recently. Since I’ve been spending a lot of time on her seeing and doing new content to me at least, I wanted a way to capture her milestones, so I got this great addon Multishot. Unfortunately, it doesn’t remove the UI from the screenshots and I’ve not taken the time to figure out some way of quickly closing everything, so I’ve gotten a lot of great Achievement shots some of which have unintended extraneous windows open! As part of my leveling I’ve gotten a couple of guildies that happened to be able to run me through Scarlet Monastery (SM), so I’ve decided to collect the whole Scarlet set; still waiting to pick up the Scarlet Belt, Scarlet Boots and Scarlet Chestpiece. Do you think they’ll laugh my Holy pally self out of the bg’s if I show up in the whole set, even if at level 40 I’m topping the Healing Charts? Also, my guild has some of the weirdest conversations in gChat, somehow the conversation went from the fact that the Alliance can get a certain fishing achievement easier than the Horde by doing a certain NR quest, to the fact that Thrall is awesome and can do no wrong (being a Shaman and all), to the lowbie Alliance Kobold quest (“you no take candle!”), and finally to how un-random the early Outlands dungeon finder options can be (Ramparts anyone?). All of this in the space of 15 minutes or so while I was wandering around the Ghostlands doing the quests for Loremaster on my druid… I couldn’t believe the train of thought that went into that conversation so much that I screenshot it for our guild portal. Anyone else find themselves doing this? 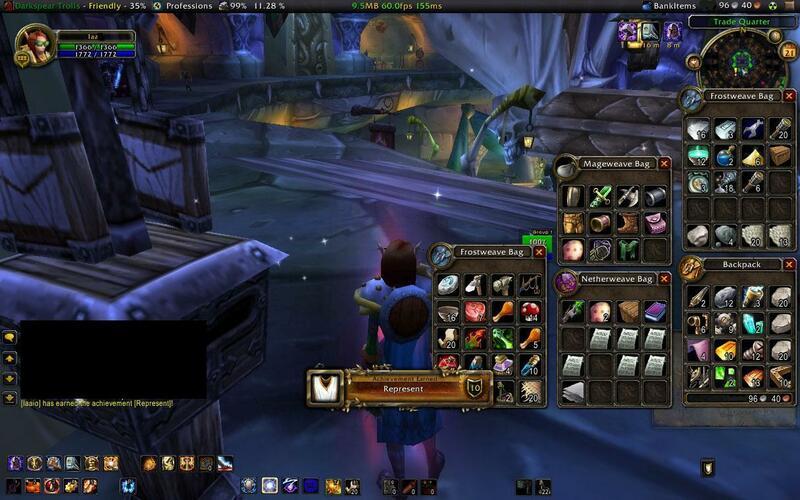 This entry was posted in Paladin, Punny and tagged Leveling by Makakai. Bookmark the permalink.